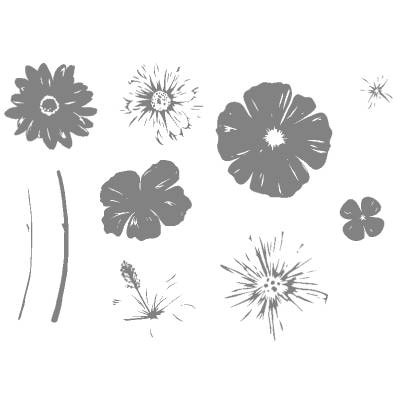 The Greenhouse Garden stamp set is retiring. 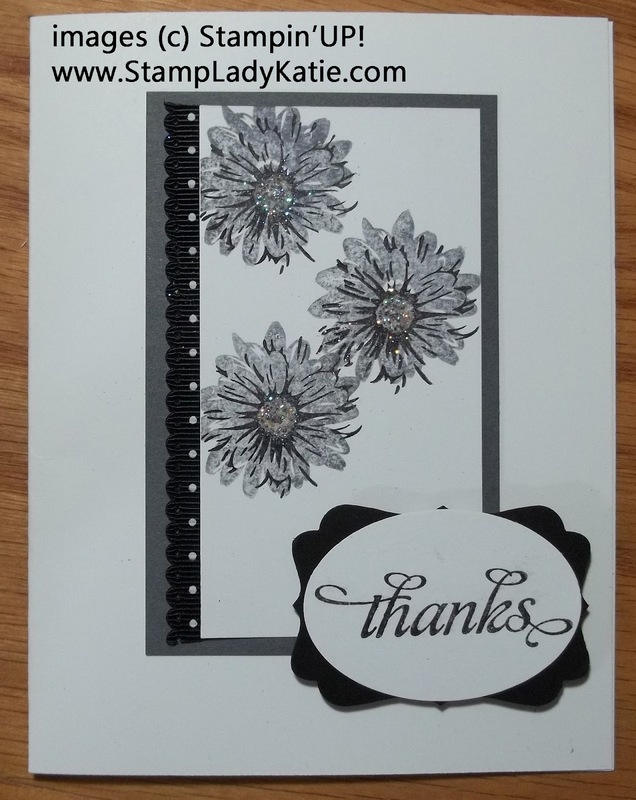 This is a 2-step stamp set which makes incredible images when you stamp the matching flowers in coordinating colors. 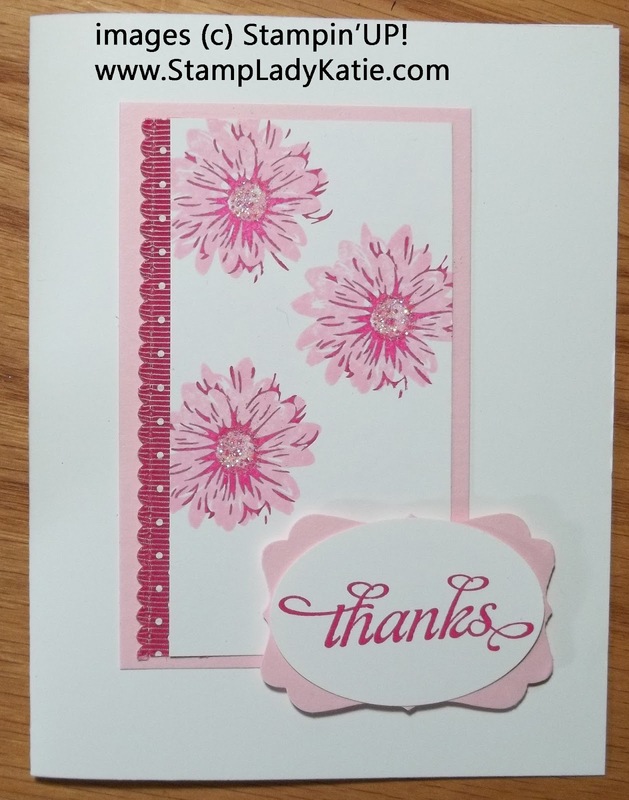 It doesn't matter what color you choose, this set makes gorgeous cards. Even if you stamp in black! That first card actually was stamped in black! I "stamped off" the solid image and stamped the veins full strength. If "stamping off" is not a familiar technique then check this post where I explained it using another example. The concept is really easy, you use it when you want the color, just less intense. 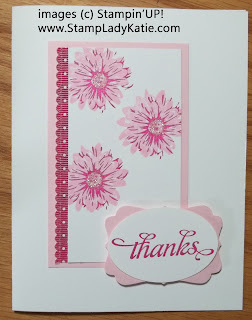 I inked the solid flower stamp and lightly stamped on scratch paper to remove some of the ink, then stamped my card piece. The resulting image is light gray. Its so fast and easy and can make some impressive projects. Greenhouse Garden is retiring along with a long list of others as we transition into the new catalog. Retiring stamp sets will be available through the end of May 2012. The new catalog goes live June 1. Check the lists of retiring stamp sets HERE. If you browse the "store" on my website you will see the images of each retiring set. Retiring Accessories are now available only while supplies last! Again, browse the store. Some items (like some of the papers) are reduced in price. And some items won't appear because they are already sold out! If there's something you want then don't delay. Order what you want while its still available.